What’s a reasonable price for U.S. stocks? The price-to-earnings ratio of the S&P 500 is 23.7 as of Wednesday, based on 12-month trailing earnings. That’s more than 50 percent higher than the average P/E ratio of 15.7 since 1871, according to data compiled by Yale professor Robert Shiller. 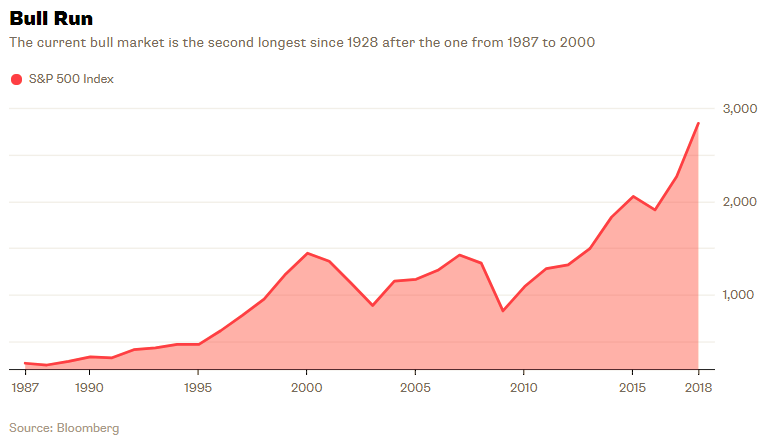 That seems concerning, but valuations have been stubbornly high for two decades. The P/E ratio has averaged 26.4 since 1998, or 11 percent higher than it is now. It dipped below its long-term average of 15.7 in only 5 percent of months during the last 20 years, all of them between 2010 and 2012. It’s comforting to conclude that the average P/E ratio over last two decades better reflects the market’s fair value, but that conclusion has problems. For one thing, looking at just the two most recent decades in 150 years of data reeks of, well, recency bias. And it doesn’t help that those two decades include two historic asset bubbles. Also, a fair value P/E ratio of 15 makes more sense. It implies a real earnings yield of 6.7 percent, which closely approximates the S&P 500’s real return of 7.3 percent annually since 1926, the earliest year for which returns are available. Who needs diversification? Investors have soured on non-U.S. stocks. The S&P 500 beat the World ex USA index — a collection of stocks in developed countries outside the U.S. — by 5.9 percentage points annually from 2009 to 2017, including dividends, and the MSCI Emerging Markets index by 4 percentage points. It wasn’t like this during the previous bull market. The World ex USA index outpaced the S&P 500 by 9.8 percentage points annually from 2003 to 2007, while the Emerging Markets index beat the S&P 500 by 24.6 percentage points. But non-U.S. stocks burned investors during the financial crisis. The World ex USA index and the Emerging Markets index returned a negative 56.3 percent and 61.4 percent, respectively, from October 2007 to February 2009, while the S&P 500 was down 50.9 percent. And they didn’t hold up any better during the previous downturn. The S&P 500 returned a negative 43.8 percent from March 2000 to September 2002 while the World ex USA index and the Emerging Markets index were down 46 percent and 43.5 percent, respectively. 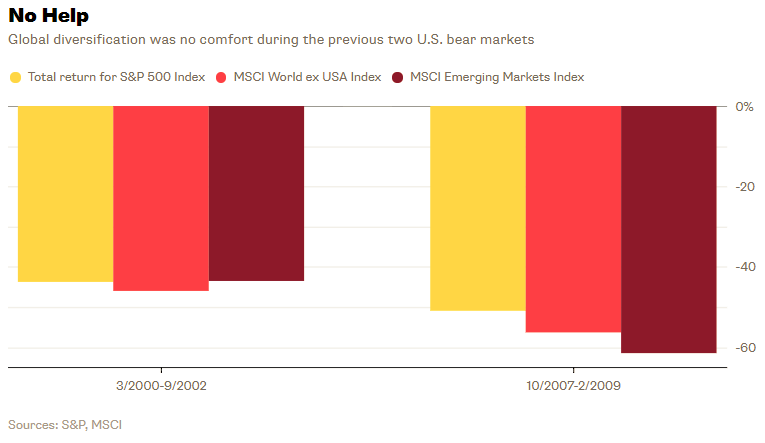 Those are the only two U.S. bear markets since 1988, the earliest year for which returns are available for the Emerging Markets index, so the evidence is scant. But if the next U.S. bear market infects global stocks, it will reinforce many investors’ view that global diversification is little help when it’s needed most. Will investors behave? Investors have a reputation for making ill-timed moves, but they’re not as active as they used to be. 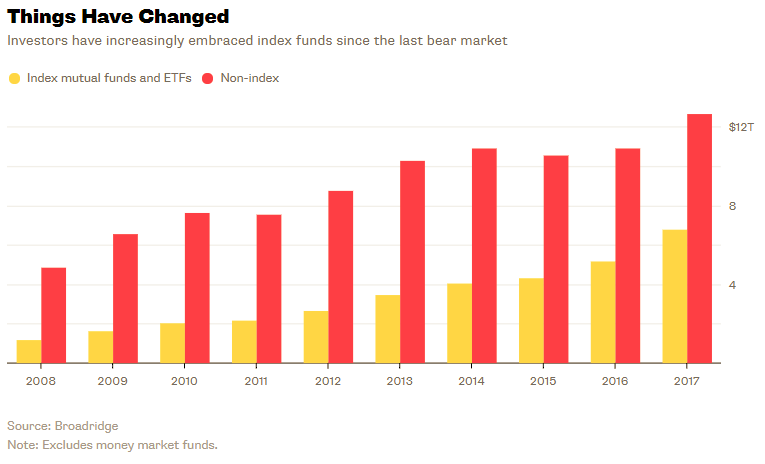 According to Broadridge, which tracks data from 80,000 funds globally, index mutual funds and ETFs manage $6.8 trillion as of the end of 2017. That’s 35 percent of all fund assets, up from $1.2 trillion, or 19 percent of fund assets, in 2008. 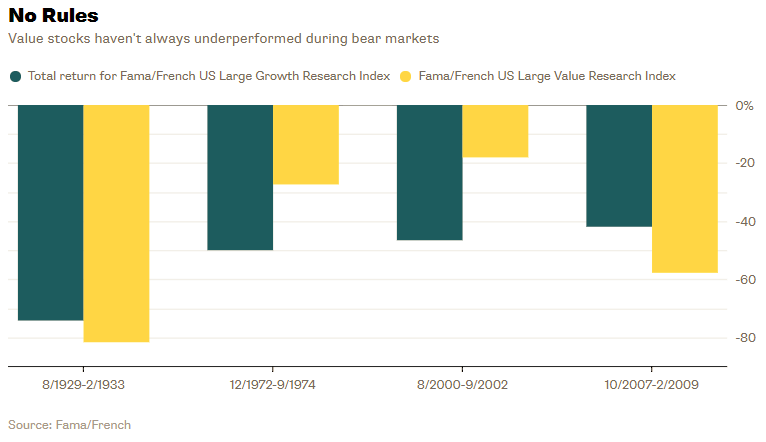 There are reasons to think investors’ fondness for index funds will translate into better behavior during the next bear market. 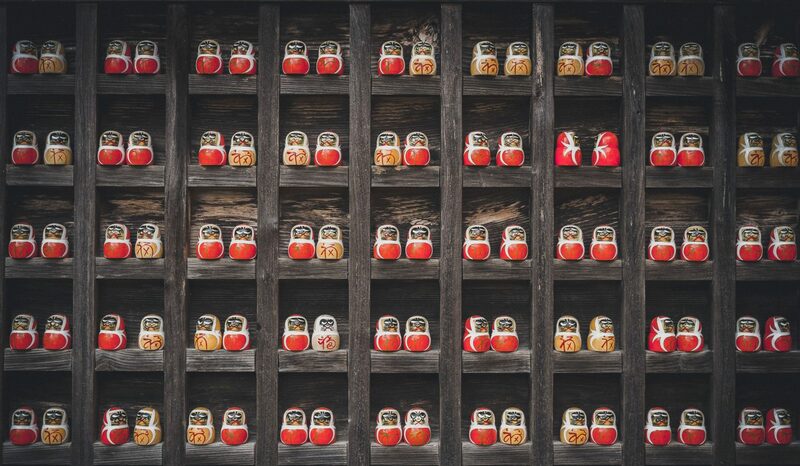 The Vanguard 500 Index Fund, for example, returned 8.4 percent annually over the last 10 years through December, but investors captured only 4 percent of it, according to Morningstar data. The financial crisis scared many of them off, and they weren’t quick to return. Investors have fared better in recent years. The 500 Index Fund returned 15.6 percent annually over the last five years, while investors collected a return of 16.1 percent. It’s obviously easier to hang on during a bull run. The next downturn will reveal just how passive investors have become. Is there any value in value investing? Value stocks have a reputation for falling apart during bear markets, but it’s not that simple. Yes, value stocks have declined more than growth stocks during brutal economic downturns, such as the Great Depression and Great Recession. But they also held up better when investors snubbed them for growth stocks. The bear market that followed the Nifty Fifty craze in 1973-1974 and the one that popped the dot-com bubble in 2000-2002 are two examples. It’s impossible to know how painful the next downturn will be, but it’s clear that investors have little interest in value stocks. Which means they may shine again during the next bear market. Is there any hedge in hedge funds? Long-short hedge funds have badly lagged the S&P 500 over the last nine years, but their shorts should pay off during the next bear market. Or more accurately, they better. Investors would do well to let go of their preconceptions. The next bear market is likely to come along and shake them up.